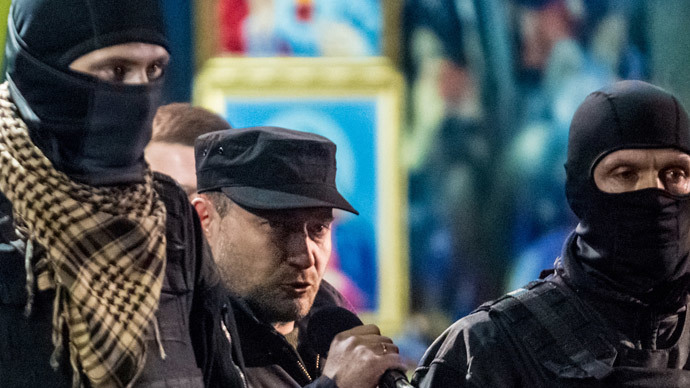 The International Criminal Police Organization has put Ukrainian Right Sector leader Dmitry Yarosh on its wanted list, according to the cross-border police body’s official website. 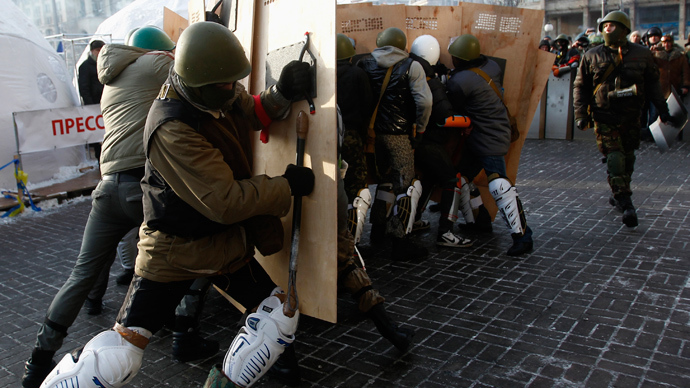 In March, the Ukrainian politician called for “more active resistance against Russia” on his party’s page in the Russian-operated VKontakte social network. The plea was addressed to Doku Umarov, Moscow's most wanted terrorist before he was reported dead. The page was soon taken down by the social network as the content was found extremist, while the Right Sector insisted their account had been hacked. Shortly after the incident, 42-year-old Yarosh was charged in absentia by Russian authorities, who forwarded his arrest warrant to Interpol. Yarosh continued to make anti-Russian statements, such as threatening to blow up the gas pipes between the two countries as a “defensive measure.” He has also recruited fighters for a paramilitary unit that has battled anti-Kiev militias in eastern Ukraine. 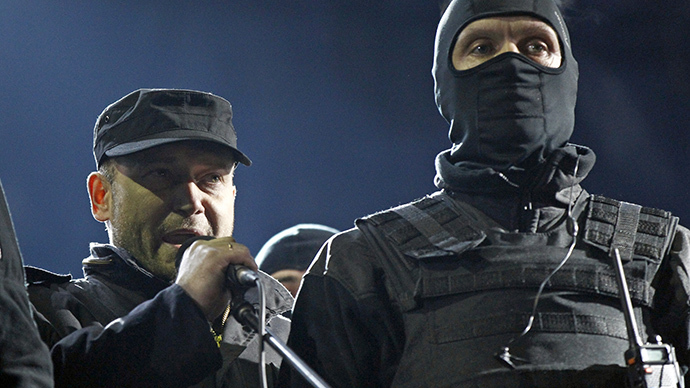 The Right Sector leader received less than 1 percent of the vote in Ukraine’s presidential election in May. 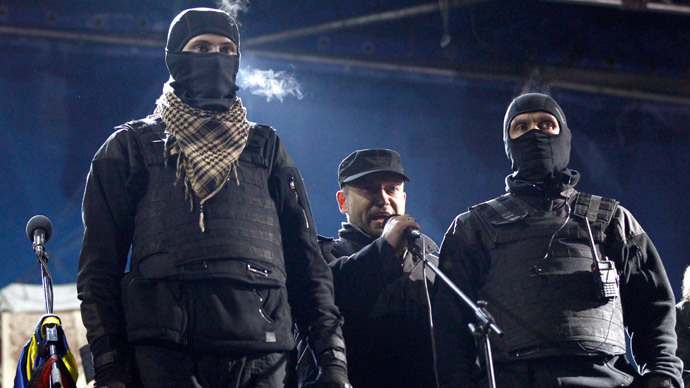 Right Sector was formed as a coalition of nationalist and neo-Nazi organizations during the Maidan protests in Kiev at the end of last year. The group’s armed activists gained prominence as the stand-off between protesters and police grew more violent. 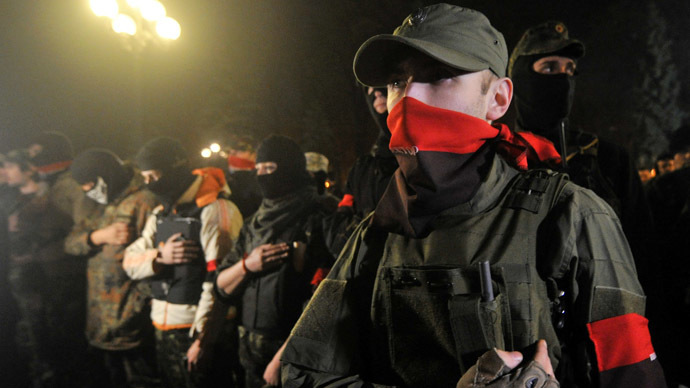 Although it was offered minor posts in the aftermath of the toppling of former President Viktor Yanukovich, Right Sector has refused to become a part of the establishment, and remains on the margins of Ukrainian politics.